Book two is a somewhat fictionalized autobiographical account as told by John "Jack" Chambers. His growing up years were spent in logging camps from the Alaskan wilderness to isolated areas in northern California. These stories tell of events that shaped the character of a teenage boy. Jack Chambers was full of life and lessons learned. 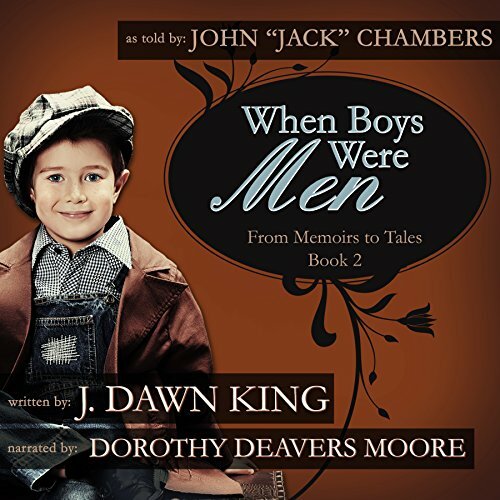 This book series is a tribute to two worthy men, John "Jack" Chambers and Vernon "Si" King Sr. It records stories they told to author, J Dawn King, just prior to their death. Both men grew up during the Great Depression and learned to work and play hard. They were honorable men with a bit of mischief thrown in for good measure.